Dr. Kevin Ross is a Family Chiropractor and is the owner of Body and Breast Thermal Imaging. His mission has always been to empower men and women to be pro-active regarding their health and felt compelled to add thermal imaging to his current practice. Dr. Ross works on creating awareness of thermal imaging in both our local medical community and community at large, as well as networking and forming lasting partnerships with our local providers. 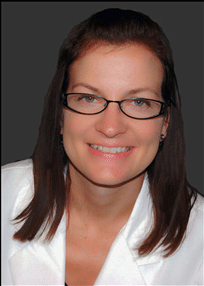 Stacy Huston has been a Certified Thermographic Technician since 2011. She performs the thermal scans and is available to discuss the findings in each patient’s report, and provide referrals to local resources. She is committed to providing you the best personal service, care and support both during and after your scan.